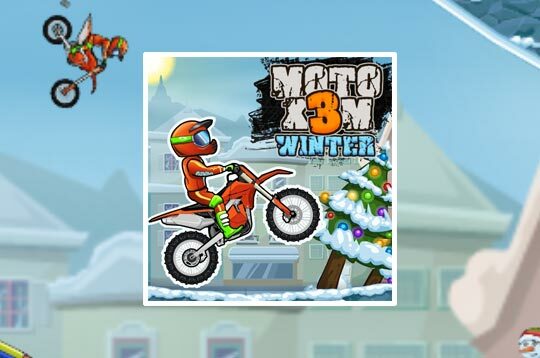 Welcome to the winter special of this incredible motorcycle acrobatics game, the Moto X3M 4: Winter. Drive your two-wheeled vehicle through challenging trails full of deadly traps, ramps, explosives and obstacles. Try to reach the finish line safely and complete all levels as fast as possible to earn 3 stars. - Play Moto X3M 4 Winter Free and Enjoy!